Welcome to the store! Like hard copies on your shelves? 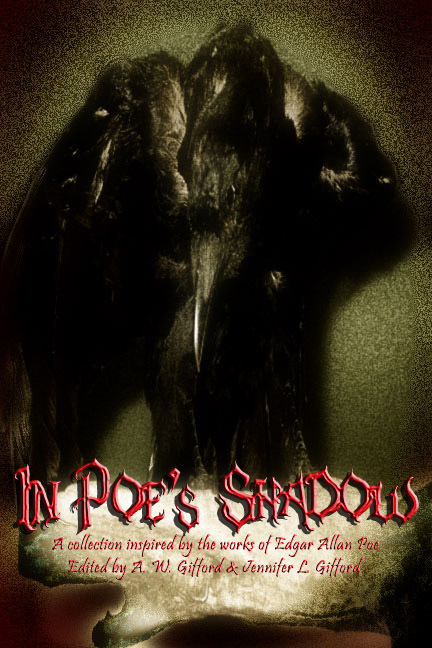 Here’s where you can find links to where my work is available for purchase; most of the links go to the Amazon print links, but many anthologies are available for e-book platforms like Kindle and Nook. Visit the Read My Work page for instant access to stories that are available free of charge in various e-zines. (Also note I try to check all of the links on this page frequently to ensure things are still available. If you come across a broken link or the work is no longer in print, please feel free to reach out to me on my Contact Page). 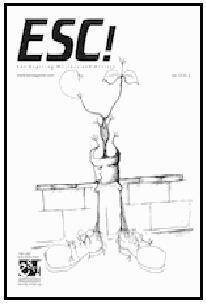 In addition, I’ve had many stories published so long ago that the publications they were in are out of print (yes! There was a time when things went out of print forever!) If you read something of mine long ago (like between the 1980s and 2008) and can’t find it, please reach out to me through my Contact Page. Chances are I have copies of stuff lying around I can send to you. In the shadows, monsters lurk. 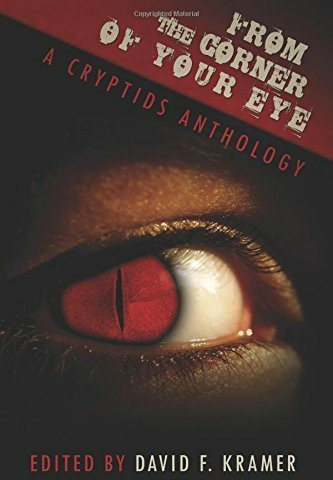 In this disturbing collection, a hungry volcano demands more and a talking piranha predicts the future. A plastic Easter bunny taunts a struggling husband, ancient Egyptian jars tempt a former convict, and a man-eating tree mocks a bereft mother. Kudzu devours a sleeping town, and seagull bones whisper long-buried secrets. These monsters are simply stand-ins for those we face every day: shape-shifting grief and overwhelming terror; soul-consuming love and all-possessing rage. We can rail against them or embrace them, but they are always there. 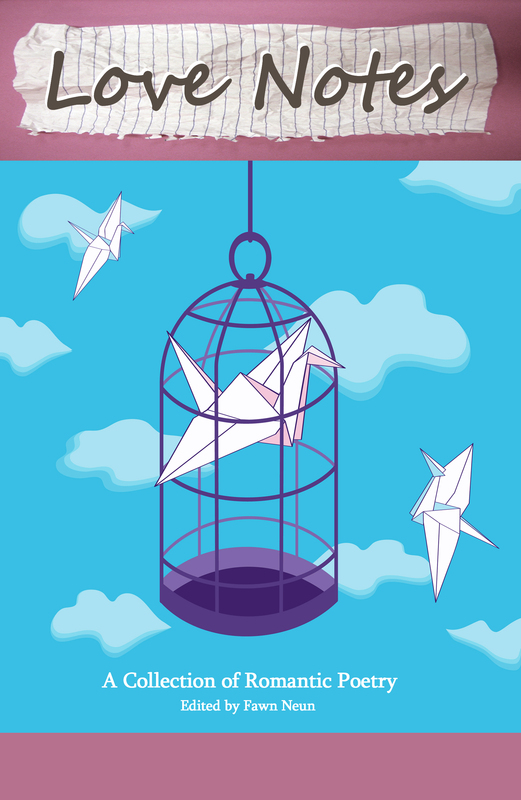 The Pushcart-nominated novel that Sci-Fi Saturday Night calls “deeply disturbing in the best way possible.” Available in print, for Kindle and all e-formats. Watch the trailer over at my Book Trailers page. 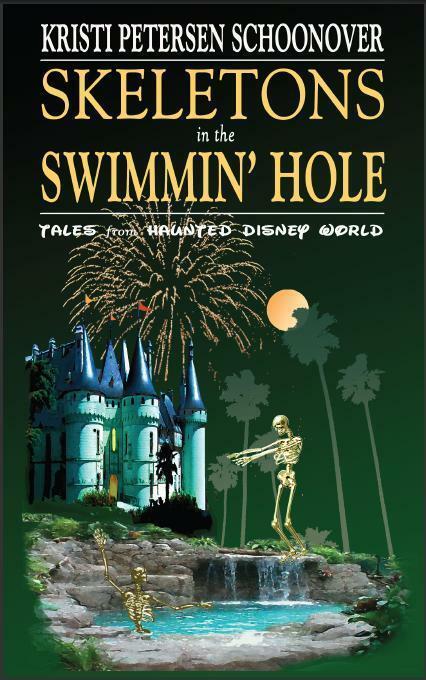 A collection of ghost stories set in Disney Parks. Watch the trailer over at my Book Trailers page. 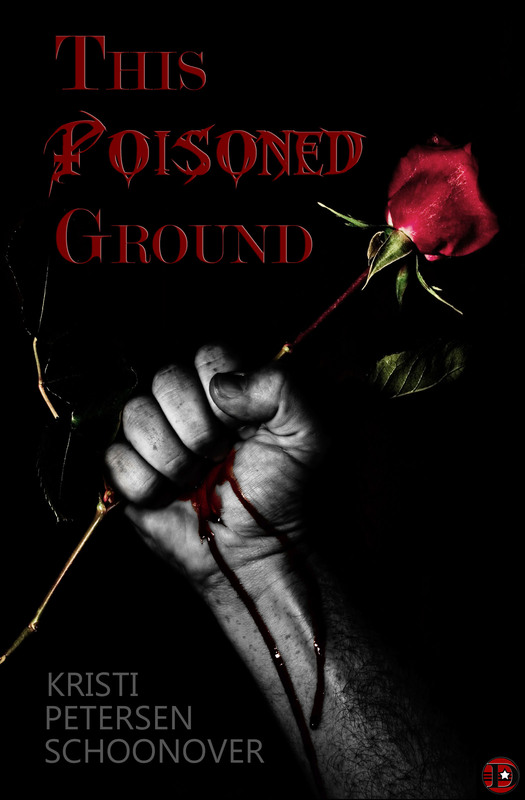 Just after dawn on the hottest day East Providence has endured in a hundred summers, Todd, a bit of a ladies’ man, finds his prized rose bush dead. This is only the first in an ever-more-ominous series of events, and someone…or something…is trying to invade his home. 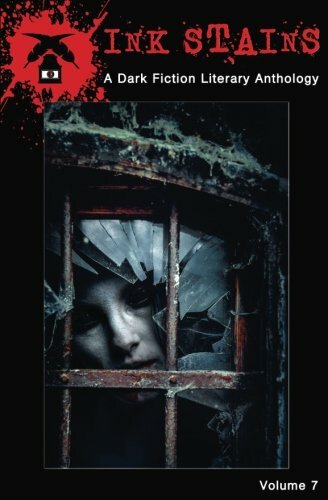 In the tradition of “The Fall of the House of Usher,” “Ligeia,” and Aura comes a gripping tale of love, lust…and regret. Watch the trailer over at my Book Trailers page. 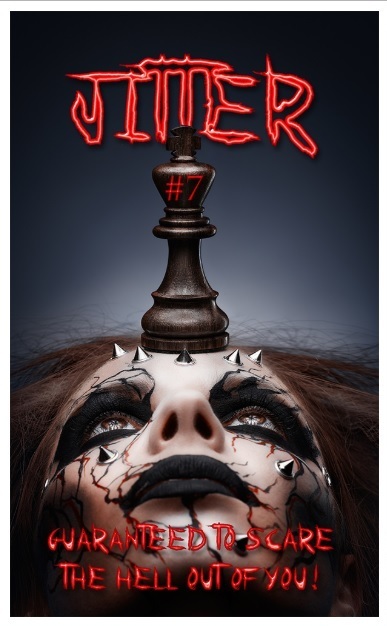 PLAY WITH MATCHES AND YOU MIGHT GET BURNED…contains my novella “Splendid Chyna.” Cece’s hoping for a fresh start for her and her family when she moves to Kissimmee, but soon terrifying visions, strange artifacts, and her daughter’s erratic behavior prove that some dark secrets can’t be left behind. Although she’s done with the past, it’s not done with her—and she may be doomed to repeat it. Decay is a pervasive ghost doesn’t only haunt the physical world; it invades our bodies, minds, relationships, and societies. It is inevitable; we are helpless to stop it. 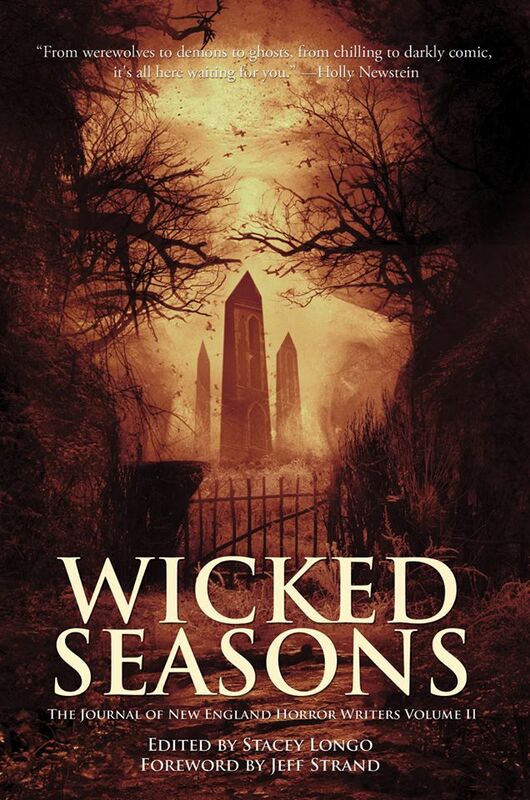 In these stories, one man is suddenly stalked by the same hooded figure that pursued his terminally ill father, while another stalks the world’s evil at great cost to himself. 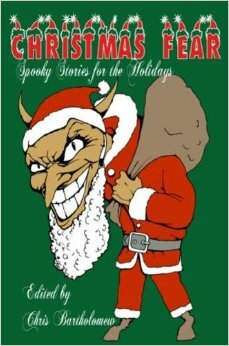 A woman who’s recently picked up smoking undergoes a monstrous transformation, another reels when she sees her boyfriend for what he truly is, and North Pole elves experience heartbreak for the first time. There are more; fifteen tales in all. 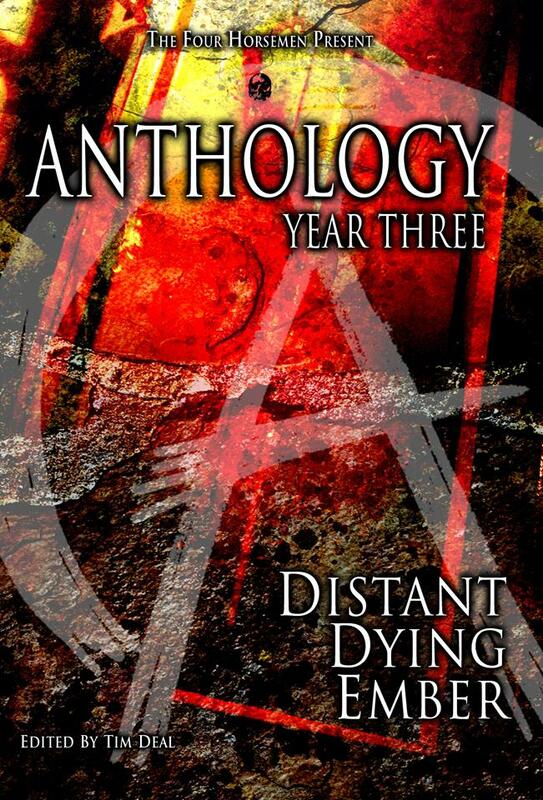 Edited by me and featuring work by Elizabeth Allen, Kaitlyn Downing, Dorianne Emmerton, Bri Faythe, Jackie Logsted, Robert Mayette, Megan Neumann, Pablo Patiño, Daniel Pearlman, Christopher Petersen, Travis D. Roberson, Heather Sullivan, Page Sullivan, Mary Thorson, Taro Turner and Rhonda Zimlich. 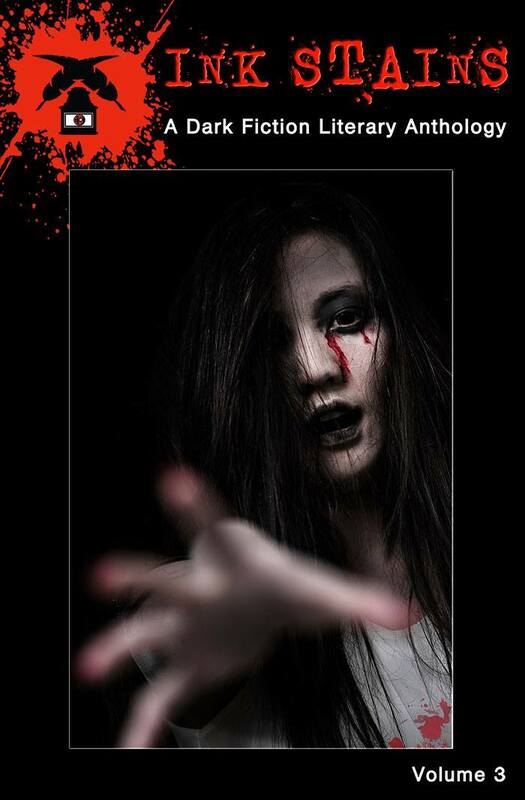 Contains my short story “All Dolled Up,” which I wrote for my friend Kristina’s birthday…a girl who ghost writes Ebay listings for supposedly haunted dolls is about to get a message–but not from a new client. 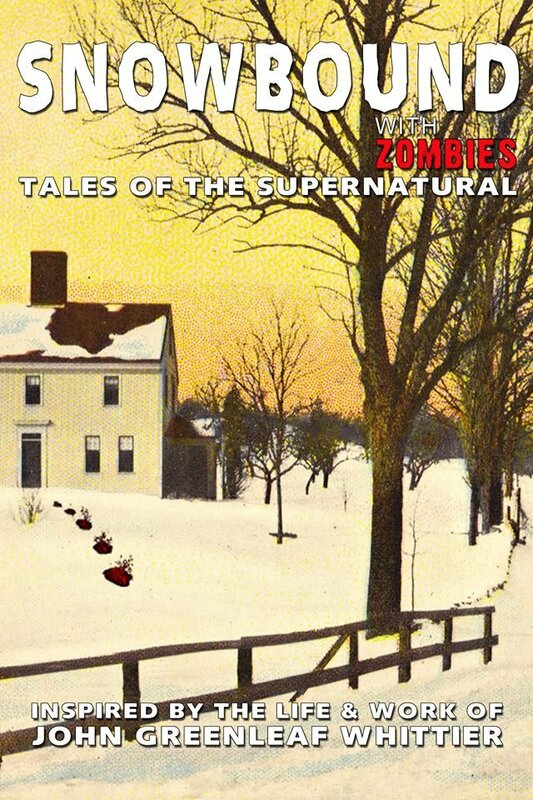 On an isolated island in the middle of Lake Winnipesaukee, something awaits. 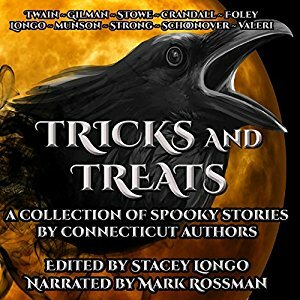 Contains my ghostly mystery, “The Cricket in the Wall.” All proceeds benefit the Whittier Birthplace Museum in Haverhill, MA. Set in Maui, the short story “Mujina” centers on a woman struggling with her loss of identity after a car crash leaves her lame and with permanent damage to her eyesight and memory…until she buys a painting of the Hana Highway. Sometimes things run just a little too deep…”Roots,” based on the urban legend of The Man-Eating Tree of Madagascar, appears here. 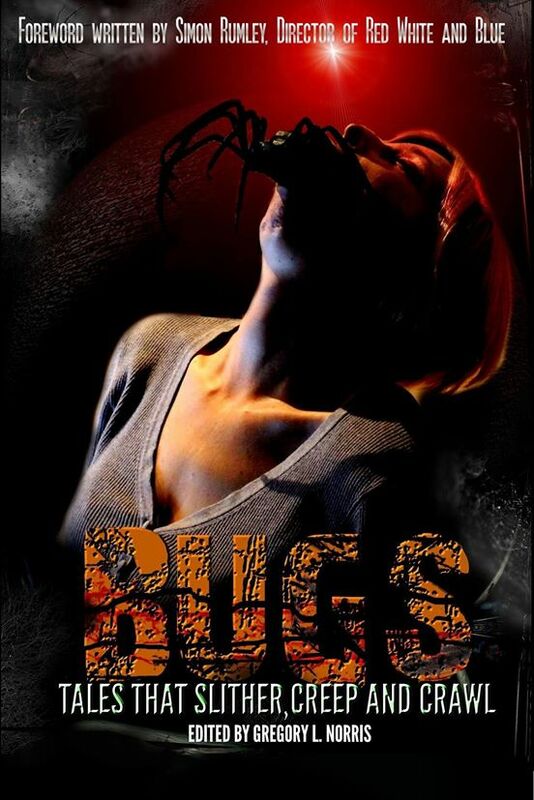 Contains my short story “Crawl.” Watch out for that baby blanket! 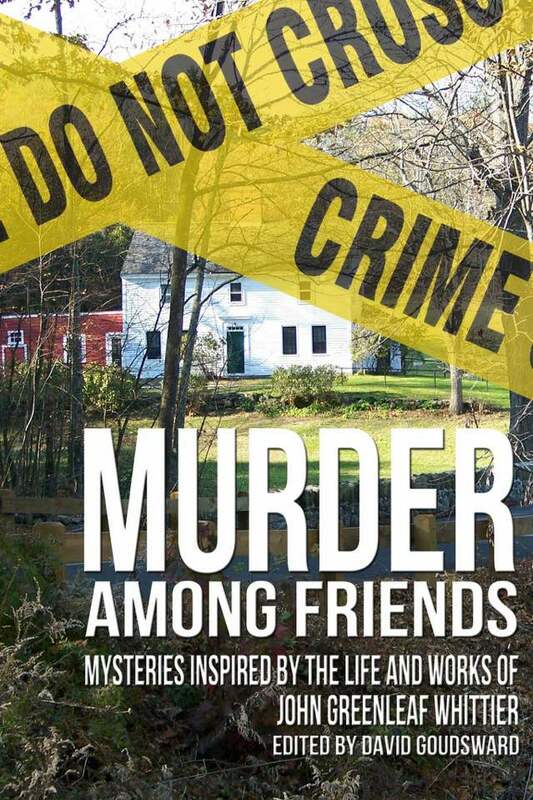 (Stories inspired by the poetry of John Greenleaf Whittier for the benefit of the Whittier Birthplace Museum in Haverhill, MA ~ Post Mortem Press, September, 2015). (Please note: ALL proceeds go to the museum). 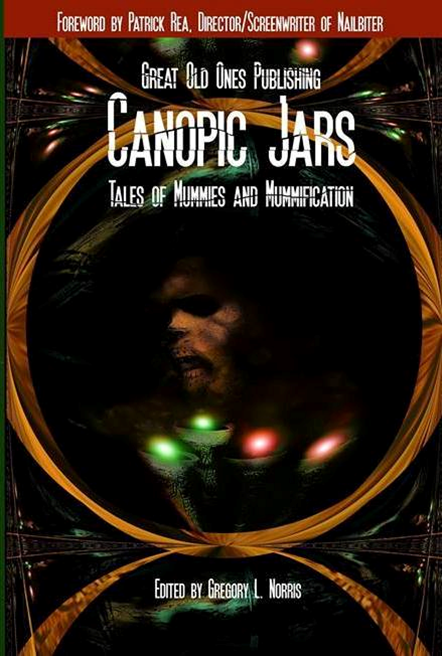 The main volume, which features an introduction by screenwriter Jamie Nash (Altered, Lovely Molly, Exists), will contain my short story “Stones,” about the Pope Lick Monster. 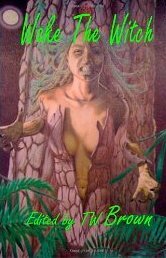 A teaser collection of five stories will include my short story “Roots,” about the maneating tree of Madagascar. What broke my heart for the very first time? The answer might surprise you…find out in my non-fiction piece “Something to Chew On.” But this little book contains a wonderful variety of fiction and nonfiction pieces, and some of the fiction will just blow your mind (“Clocks” by Darrell Schweitzer is one of my favorites). 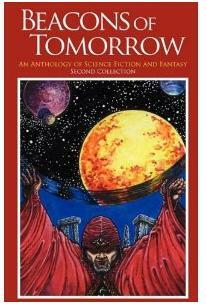 Contains my story “To Chance Tomorrow”: In a future where life is eternal, teen-aged Mich struggles to accept her father’s abandonment. Her much-older boyfriend’s unorthodox birthday gift seems to provide some comfort—until his jilted admirer shows up. In the tradition of “The Light of Other Days” and “Obstinate Uncle Otis” comes a tale of grief…and what it truly means to be broken. 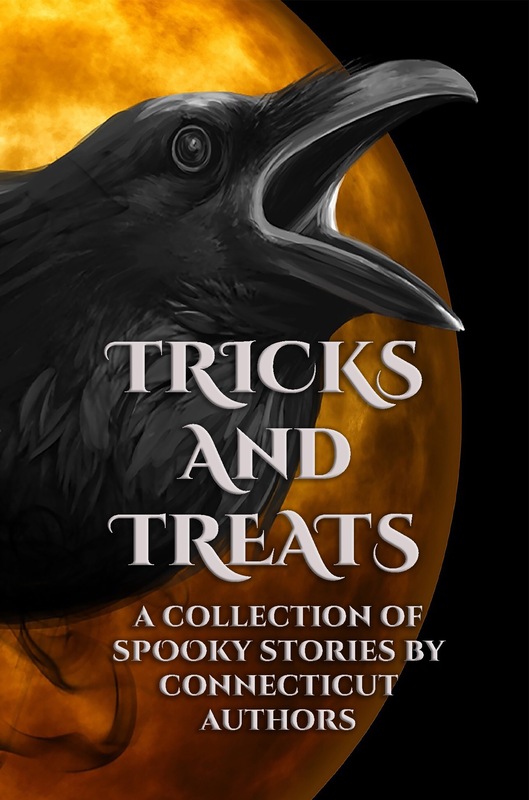 The story joins a dozen terrifying new tales from Christopher Golden, James A. Moore, Robert Duperre, Michael Evans, and more! Watch the trailer over at my Book Trailers page. 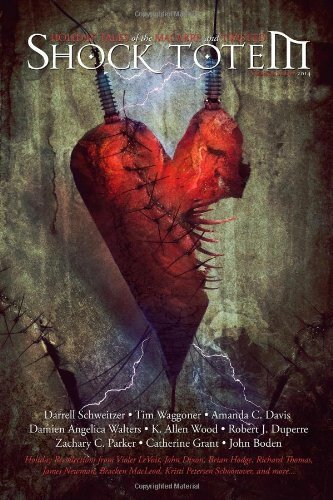 Contains the short story “Jarring Lucas,” written especially for this anthology: When Lucas is released from prison, he buys an isolated castle near his hometown of Myrtle Beach, hoping to bury his past and live in peace. 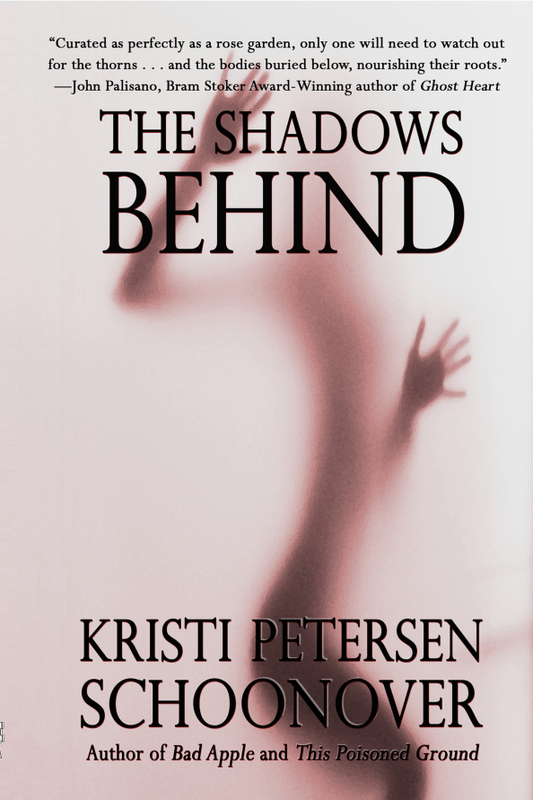 But when his childhood friend Leza wants to make peace of her own, Lucas begins to feel like something’s watching him…and that some things won’t stay buried. 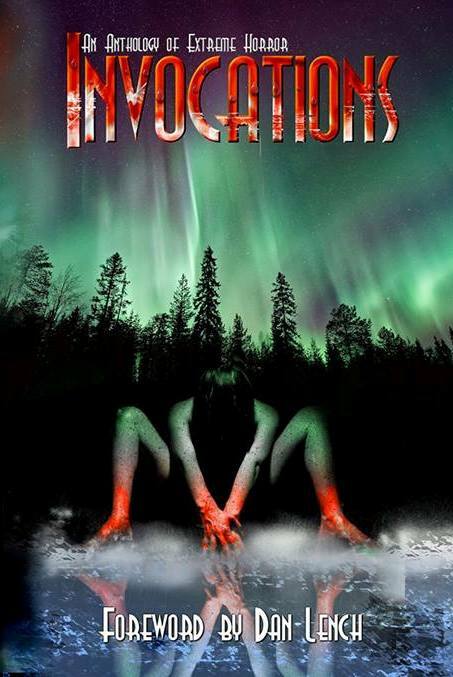 Watch the trailer over at my Book Trailers page! 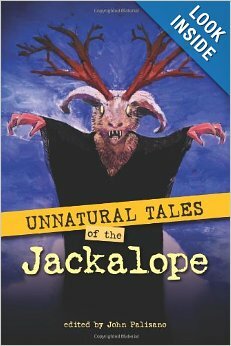 Who doesn’t love the jackalope? John Palisano, the author of NERVES, dons his editing hat to bring us lots of fun stories about this almost-never-celebrated strange creature of the desert. 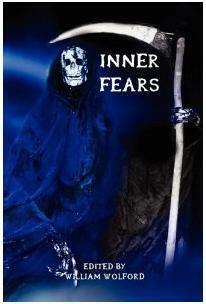 Contains my very dark tale, “The Thing Inside.” Watch the trailer over on my Book Trailers page. 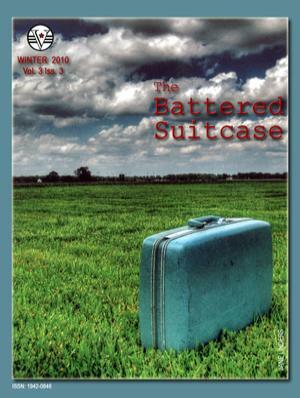 Contains my story “Whether Girl.” “Whether Girl” originally appeared in a print-only magazine back in the mid-2000s that’s no longer available, so it’s great to have it back in circulation here. 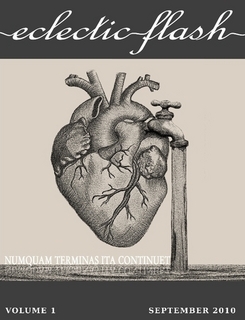 Featuring “Waterproof,” which editor Fawn Neun calls “eerily touching.” The link below takes you to the page for purchasing the digital version. There are print editions available also, so surf if you’re interested in that. The hard copies are beautiful and worth owning. Featuring “Bridging Christmas.” However, the reason you should buy this is so that you can read a never-before published story that was penned in the mid-1980s by very awesome science fiction author Daniel Pearlman. 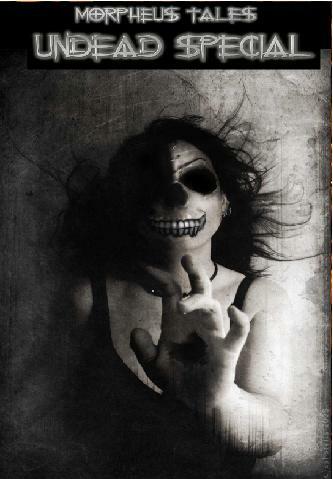 Featuring “Shell Game”–one of my very few pieces of flash fiction. You can purchase a hard copy here! 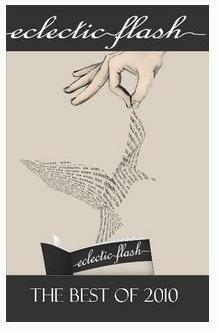 Purchase print version of Eclectic Flash through Lulu here. Featuring “Punctuation.” For those of you who are fans of my ant stories, you definitely want this one. 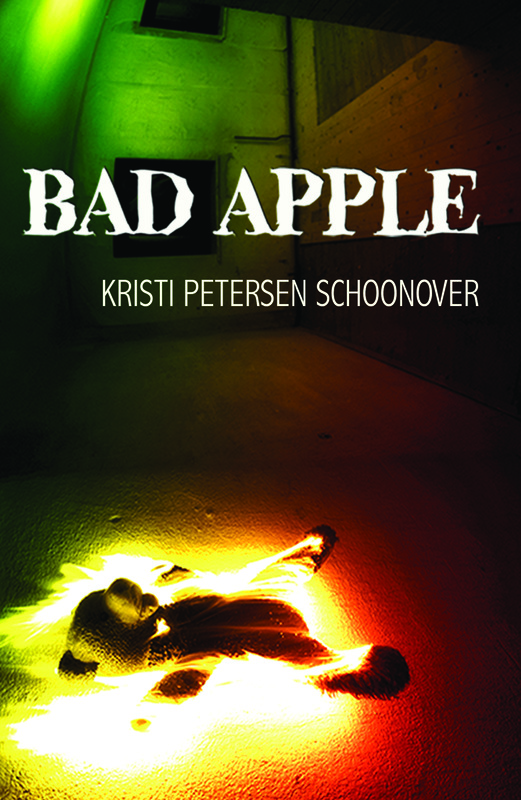 Contains my short story “Divining Napkins.” Note: written under the name Kristi Petersen.